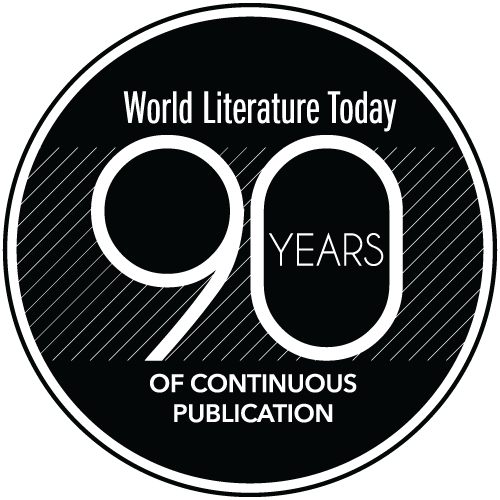 World Literature Today is the University of Oklahoma's award-winning magazine of international literature and culture, founded in 1927. The editors welcome submissions on contemporary literary and cultural topics addressing any geographic region or language area. By “contemporary,” we mean that our main focus is on the 21st-century literary scene. The bulk of our coverage consists of essays, book reviews, fiction, poetry, and interviews. General inquiries and suggestions for special topics, addressed to the editor in chief, are also welcome. We accept submissions year-round. N.B. We do not generally accept unsolicited poetry or fiction for publication. In terms of creative writing, we especially value translations from other languages but will equally consider work written originally in English. When submitting poems, upload no more than five poems in a single document (insert an extra line space between poems). For critical studies of contemporary authors, literary topics, or cultural trends, our preference is for “essays” written in the tradition of clear and lively discussion intended for a broad audience, with a minimum of scholarly apparatus (see “Back to the Essay,” WLT, Winter 2000, 5-9). When sending in your prospective contribution, please include in the body of your email or cover letter a brief explanation of how your essay would engage or enlarge our notion of world literature in the 21st century. 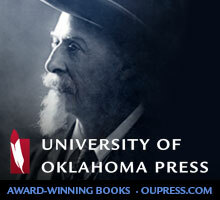 Prospective contributors are encouraged to consult Back Issues of WLT for examples of our preferred style of writing. The planned special sections for forthcoming issues can be found by clicking on the calendar link at the top of the page, but we always include a variety of other essays, interviews, poetry, fiction, and the like in any given issue, regardless of the marquee theme. A manuscript, or its essential content, must not have been published previously or be under consideration for publication elsewhere. Every effort will be made to acknowledge receipt of your submission in a timely fashion, but given the high volume of inquiries that we receive, please allow a minimum of six weeks for evaluation and a response concerning acceptance. Any unsolicited manuscripts, received in the mail, that are not accepted for publication will be returned if accompanied by sufficient postage. Length of Essays. Prose texts should have a maximum length of 2,500 words (approximately 10 double-spaced pages), unless otherwise directed by the editor. Text Preparation. In matters of style and formatting, follow the guidelines in the Chicago Manual of Style (17th ed., 2017, hereafter CMS) when preparing your document. When submitting your work, our preference is for email attachments in Microsoft Word documents (PC or Mac), with fancy formatting (styles) kept to a minimum. Online information about the Chicago Manual can be found at www.chicagomanualofstyle.org. For matters of spelling, we prefer the eleventh edition of Merriam-Webster’s Collegiate Dictionary. For essays, place the article title at the top of the first page, then place your name on a separate line. A brief deck head (25-40 words) should precede the article, giving readers a pithy, catchy preview of what’s to follow. Your institutional affiliation or city of residence should follow the concluding line of the text and be placed at the right-hand margin, italicized. Following your affiliation, please add two or three sentences about yourself and your current projects (40-50 words). For translations, include a brief bio about the author (40-50 words) and a shorter one about yourself (20-25 words), plus a source note about the original (e.g., From Cien sonetos de amor, copyright © 1960 by Pablo Neruda. English translation copyright © 1986 by Stephen Tapscott). Titles and Names. The title of a published work should be given in the original language upon first reference in your article, followed by a parenthetical English translation, either a previously published one—for example, Jiu guo (1992; Eng. The Republic of Wine, 2000)—or your own transliteration in sentence-style caps: for example, No sé por qué (2011; I don’t know why). Subsequent references should be either all in the original or all in the English version. Original titles from languages not using the Roman alphabet (Russian, Greek, Arabic, etc.) should be rendered in a standard transliteration. For more details, see CMS, chapters 8 and 11. Quotations. Short quotations should be worked into the body of the text; quotations of four lines or more may be set off as extracts. Do not use MLA-style parenthetical page citations in running text; they may be used with extracts, however, or placed in an endnote if they accompany a substantive note. A moderate number of citations from foreign languages may be used, particularly when the illustration involves a linguistic or stylistic point. For long and/or difficult passages in these languages, however, please provide an English version only, either your own or a published one. When in doubt, follow the guidelines set forth in CMS, chapter 11. Notes and Bibliographies. Notes should be kept to a bare minimum, particularly avoiding long, digressive comments, the use of ibid., notes citing only a page number, etc. For an excellent discussion on shortening the length and number of citations, see CMS 14.29-36. Footnotes will be converted to endnotes in the published version of your article. Do not include a list of works cited; if a book title is mentioned in the text, follow the convention listed in the “Titles and Names” section, above. If an article or chapter can be found online, include the URL in a note, which we’ll hyperlink in the digital version of your piece. Illustrations. We welcome suggestions for possible illustrations (artwork, photography, or graphics) to accompany your text. Illustrations should be submitted as 300dpi digital files (color tiff or jpeg files preferred, grayscale for b/w). A separate list of captions and credit lines should accompany the illustrations, clearly keyed by number, as well as releases granting WLT permission to reproduce them. Permissions. Authors are responsible for obtaining permission to reprint any material under copyright that exceeds the guidelines of fair use or does not have a Creative Commons license. When requesting permission from the rights holder, please ask for nonexclusive world rights in English, for all editions. Guidelines on fair use and copyright can be found in CMS, chapter 4. Inquiries. Please inquire about books you would like to review, including as much information (author, title, publisher, publication date, price, and ISBN) as possible. However, do not order review copies directly from publishers in our name; we prefer to do that work and the necessary record-keeping. Deadlines. The review deadline for any given issue of WLT is typically 60 days prior to the issue’s release date. Books sent out for review. If you are unable to meet the deadline please either (1) advise us that we should expect the review for a later deadline or (2) return the book to us, with a brief note of explanation, for reassignment. A book marked “U” (unsolicited) may or may not need to be reviewed. Please advise us as to your decision, even if you deem the book unsuitable for comment. Length. Our preference is for reviews in the range of 350 words; the maximum length is 400 words unless approved by the editor prior to submission. Please observe the word limit. Not all reviews received can be published, and overlong reviews will be returned for revision or edited as needed to fit available space. Submitting reviews. Please submit your review electronically, preferably in the form of a fully formatted e-mail attachment directed to the book review editor, Rob Vollmar ([email protected]). If possible, please use MS Word when typing your review. Enrique Vila-Matas. Never Any End to Paris. Trans. Anne McLean. New York. New Directions. 2011. 197 pages. 1. Order of data: Author. Title (underline). Editor/translator/compiler/illustrator. Place of publication (both city and state or country, as appropriate). Publisher (and distributor, as appropriate). Year. Pages. 2. Double-space the heading and the entire text of the review, but do not insert extra letter spaces between sentences. 3. We encourage quotations, but keep them brief and to a maximum of two or three. Quotations from works in languages other than English should include a parenthetical English translation of the cited material. 4. Plot summary should be provided only to the extent that it supports salient observations about the author’s style, intent, thematic concerns etc. Explicitly spoiling major plot developments is discouraged and may be edited out at the editorial staff’s discretion. Tearsheets. Upon publication of your review(s) in WLT, you will receive a PDF tearsheet of the review via e-mail attachment as well as a link to the review on our website. Change of address. Please keep in touch even when traveling, and let us know of all changes of address of one month or longer. Thank you for your help and collaboration. Art file must be a JPG, TIFF, PNG, PDF, GIF, SVG, or EPS format. File resolution must be at least 300 dpi. World Literature Today will only accept recordings that follow the basic guidelines outlined below. If you are creating a home recording, please refer to the audio recording tips below in order to create an audio file that complies with our submission guidelines. Audio files must be free of extraneous sounds such as plosives, mic pops, computer hardware noise, room noise, excessive mouth noise, and outtakes. Extraneous sounds are distracting to listeners and deteriorate the overall quality of the recording. Audio must be sent in one of the following formats: MP3, M4A, WAV, AAC, AIFF. Use an external unidirectional microphone (with a preamp if available) to record your audio. This will improve the audio recording quality and also help in noise reduction. A/C, fluorescent lights, and soundcard buzz are common noises that get picked up in a recording. Use a pop filter or screen. This is particularly helpful with spoken word recordings and can greatly reduce any clipping that might occur. Use headphones to listen to your completed recording. This will help you to more easily hear any extraneous noises that may have been picked up in your recording. If you don’t have access to the necessary external equipment to improve your recordings, we recommend using a smartphone or tablet device to record your audio. These devices have less hardware noise. You will still need to listen to your completed audio with headphones to determine if the extraneous noise is minimal. For a more extensive list of tips to improve your recording quality, see the following two web pages provided by the free audio editing tool, Audacity.